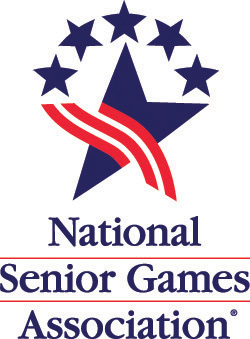 The Tennessee Senior Olympics, Inc. is a member of the National Senior Games Association, the largest sporting group in the United States. We are a 501c3 non-profiit organization endorsed by the Tennessee Recreation and Parks Association. Sponsorship opportunities available. The Tennessee Senior Olympics began in 1981 with a mission that has continued for over 30 years- to promote healthy lifestyles for seniors through fitness, sports, and an active involvement in life. Our programs contribute to the vision of healthy, active, and vital senior adults. Every year thousands of senior adults compete in sanctioned District Olympics held across the state. The 10 championships are held each spring in greater Nashville, Knoxville, Chattanooga, Memphis, Jackson, Johnson City, Crossville, Columbia, Martin and Athens. Finalists from these games qualify for the State Finals held each summer. The State Finals winners qualify for the Nationals held every two years. Since 1981, the Olympics have grown from 300 participants to almost 4,000 seniors competing statewide in District Olympics events. Our largest state finals attracted almost 2,000 participants for the week-long sports celebration.